The Start Screen background can be changed from its dull, solid coloration when you first begin using Windows 8. 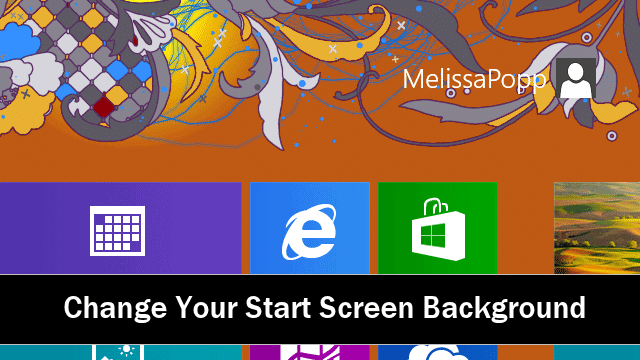 We’ll show you how to change the Start Screen background to customize your Windows 8 experience. Windows 8 introduced a whole new way to interact with the OS. The Start Screen replaced the familiar and beloved Start Menu. While this made some users angry, others adapted quickly to change and wanted to customize the Start Screen to their liking. 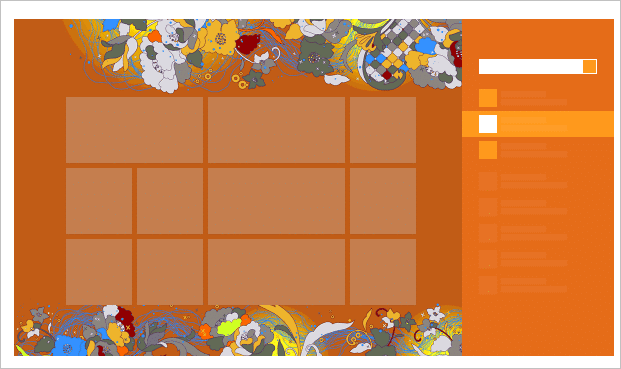 Windows 8 provides some ways to tweak the Start Screen background, let’s look at what all can be done. Unfortunately, Microsoft doesn’t let users take advantage of their own pictures or images as their Start Screen background. So, you’ll have to use what Windows 8 provides you. In order to change the Windows 8 Start Screen background, open the Charms Bar with the “Windows Key + C” shortcut. Next, click the “Change PC settings” link. 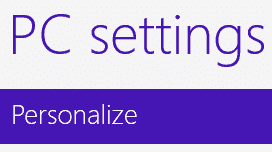 From the left-hand panel, click the “Personalize” settings under PC settings. You’ll have three options to choose from under Personalize: Lock screen, Start screen and Account picture. We’ve covered how to customize the Lock Screen already. Now, we’ll focus on the Start Screen in Windows 8. Click on the “Start screen” settings. 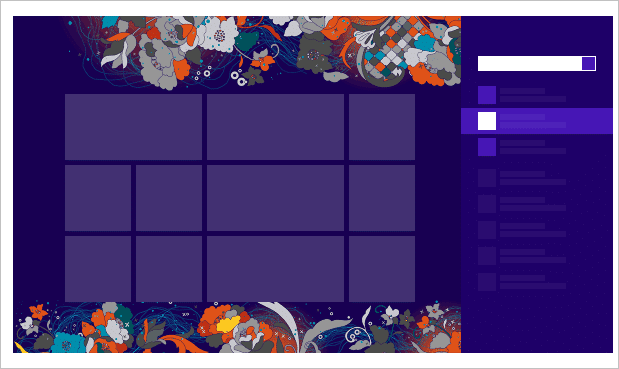 Changing the Windows 8 Start Screen is easy, as you’re given two options: Change the background and change the color scheme. You can select any of the pre-defined Start Screen backgrounds. When you click on one, it automatically updates your Start Screen to reflect it so you don’t have to worry about savings your changes. Below the pre-defined backgrounds, you’ll be given the opportunity to change the color scheme of the Start screen. You can choose any color and again, it’ll update automatically for you to see the changes. 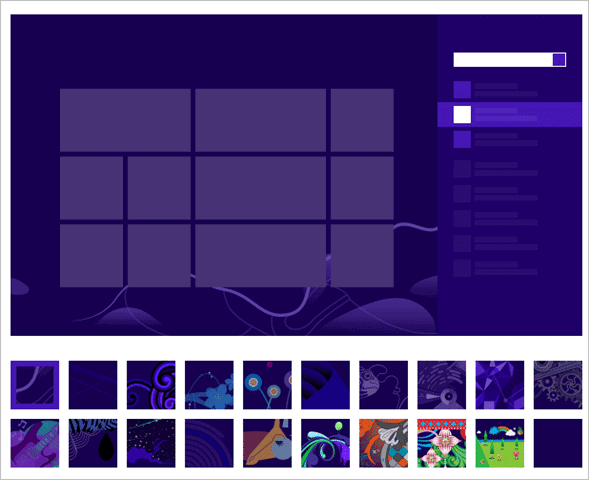 You can tinker with the different backgrounds and color schemes until you find the right fit for your Windows 8 machine. This is all you can do in Windows 8 with the Start Screen background. There’s no word from Microsoft on why they made it difficult to customize the Start Screen, especially considering how many users are turned off by the feature and miss the Start Menu from older versions of Windows. We’ve covered a few ways to customize the Start Screen using third-party software, as well as how to organize your apps, but for now, until Windows 8.1, you’re stuck with the same old built-in customization options. 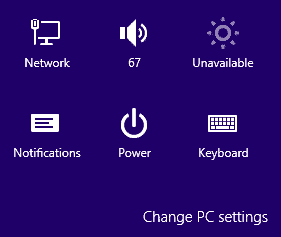 From this same area in the Windows 8 settings, you can also change your Account Picture. Click on the “Account picture” settings link at the top of the Start Screen settings. You have two options: Browse or Camera. 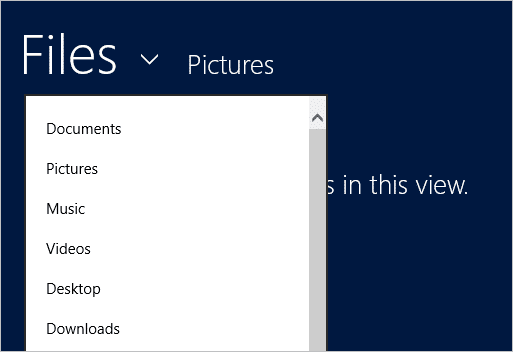 Browse allows you to choose a location where the picture you want to use is on your PC. This can be in a Library, a folder or the cloud. Choose the location, select the picture and save where you found the picture from. 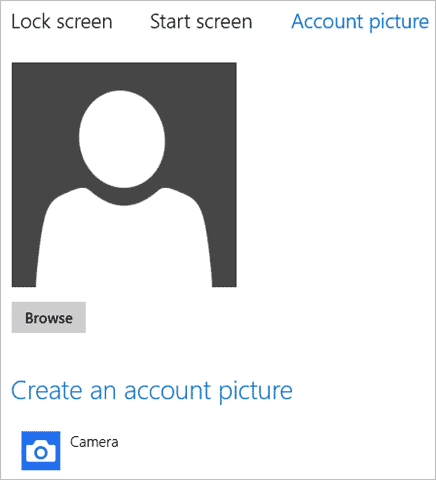 Your Account Picture will automatically update and be reflected in Windows 8. I recommend using a picture that’s roughly 200 x 200 px in size. The closer your dimensions are, the better the Account Picture will look in Windows 8. Also, depending on your Start Screen background choice and color scheme, you may want to tweak how your Account Picture looks to match it for a better overall customization. You can also use a Camera to take a picture of yourself if you have a webcam enabled on your PC. Select “Camera” to take a picture, and use it as your Account Picture as you see fit. If you don’t have a webcam available, you won’t be able to take a picture yourself. Windows 8.1 introduces a quicker way to change the Start Screen background, colors and personalize the OS even more than Windows 8 does. While Windows 8 lets you customize the Start Screen background in some ways, Windows 8.1 goes above and beyond in customization. For now, you’ll have to settle with how Windows 8 does things, but Windows 8.1 will be here before you know it.